All the trees were finally dropping their leaves this morning. One particular road that I take on my way in to work is lined with trees and they were all throwing their leaves at the ground in unison. It was quite the site to behold. But man, it's about freakin time! In Utah, it seems Fall always comes a week later every year and summer a week earlier. Since it's a bit too chilly for my taste (no, we don't have any snow. 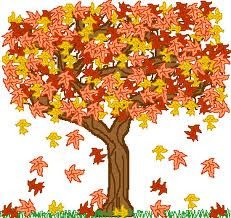 And yeah, I know I'm a wimp), I sure wish the leaves would drop in October or November like they're supposed to. I don't like having to rake and compost in the bitter cold. December is a time for giving, cozy fires, easy chores, and light winter gardening checklists. Even a snow ball fight pushes the amount of time I want to spend in the yard this time of year. I'm ready for a brown lawn and Christmas Lights. I've been putting off pruning back my grapevines until I have to rake up the leaves, which was not a smart move. Now I get to rake the leaves, prune the grapevines, and compost in the bitter cold. Sure wish I would have thought that one through.